Houston Property Management Always on Target! My primary focus is to help owners of rental units. Running and managing rental units is hard work. You may need help every now and then. Over the years I have worked with owners of apartments, condos and free standing rental units and it became clear that there were some aspects of owning rental units that they like more than others. 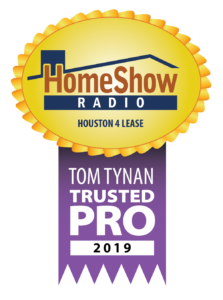 We are best in delivering a comprehensive, trustworthy and reliable property management service in Houston and also named as one of the professional property management companies in Houston. At Houston 4 Lease, our mission is to offer you the best possible customer service in the property management market and we also handle all your property leasing including property sales, rental units and cost-effective property maintenance.We will provide you a One source, One responsibility solution… Call Houston 4 Lease Now! If you currently own rental property in Houston and you need a little Stress Relief call us now. If you would like to own rental property in Houston and would like to work with the “A” team call us now! Request an appointment with our Houston 4 Lease company! Our Houston Property Management services are among the very best in the industry.